becomeuniqueone | Aha! Touch Your Dream. How has the digital era, accomplished by the development of information and communication technology breakthrough, been changing our life? What kind of changes do happen to our life? Can we more vividly feel the differences if our life spans from the analog era to the digital one? The people who are not familiar with the innovative digital devices and software or reject them may feel differently about the width and depth of the changes. In particular, in a social network era represented by Facebook and Twitter, we may be classified as a group half-willingly and half not. Maybe each of us will be stored in one record(row) in a computer database. However, compared to the past, more attributes or fields in the computer database will be needed to explain our own identity, and more long-term data will be accumulated. As Facebook CEO Mark Zuckerberg said, each of us may be classified into a social graph. We may be classified into certain groups by external factors, rather than our true self. Companies or organizations with specific objectives will attempt to use that constantly. They will intend to precisely analyze and take advantage of our behaviors. Particularly, even though they claim to support a win-win game, they may focus on our addictive behaviors and their commercial values, and develop business concept and model based on them. As a result, they monitor and analyze and use our behaviors. The websites related to our human behaviors are summarized as the following chart. Of course, all websites are not included. They may provide us with some useful tools. Some of them would be very useful to the public in terms of the public interest. Are you unique, not just a record(row) in a database? Why are you unique? Are you one of the unique worlds? Those are why we are here. P.S. : There were so many comments herein to sell their products and services just like spam. Before doing that, think about whether or not you earnestly intend to buy your products or services if you would be a customer to buy yours. If you don’t want to do that, don’t push them into other people by cleverly using your comments. Instead, you would rather create your own unique products or services than do that. Make sure that your top priority is to put other people’s true happiness and success before yours. It would be a short-cut way to make your business a success. Good luck! I’ll should come back again when my class load lets up – even so I’m taking your RSS feed so I can study your website offline. Several. I like the theme on this site. Is it available for download anywhere? That’s more than ssenible! That’s a great post! Deeply flabbergasted by the stature of intellegence on this site. There are a load of helpfull resources here. I know I will visit this place again. I have to show my thanks to you for rescuing me from such a setting. Just after surfing around through the search engines and coming across techniques which are not helpful, I believed my life was well over. Existing minus the answers to the problems you have solved by way of this article is a critical case, and ones that would have adversely damaged my entire career if I hadn’t noticed the blog. Your primary expertise and kindness in maneuvering all areas was very helpful. I’m not sure what I would’ve done if I had not come across such a point like this. I am able to at this point look forward to my future. Thanks for your time very much for the skilled and result oriented guide. I won’t be reluctant to refer your site to anyone who desires support about this problem. I’m impressed, I have to say. Seriously hardly ever do I discovered a weblog thats each informative and entertaining, and allow me to let you know, you have hit the nail on the head. Your idea is important; the issue is something that not a great deal of currently are speaking intelligently about. I’m definitely satisfied that I stumbled across this in my lookup for something relating to this. My friend and I had been just debating this specific subject, he’s normally trying to prove me wrong. Your view on this is great and exactly how I truly think. I just now mailed him this great site to demonstrate him your own viewpoint. After looking over your site I book-marked and will be coming back to read your updates! Thanks so much for giving everyone an extremely memorable opportunity to read from this web site. It’s always very good plus stuffed with a great time for me and my office peers to search your web site the equivalent of thrice in one week to read through the latest stuff you have got. And indeed, I am always astounded with the sensational tips served by you. Some 1 areas in this article are easily the best we’ve ever had. Good – I should certainly pronounce, impressed with your website. I had no trouble navigating through all tabs as well as related info ended up being truly simple to do to access. I recently found what I hoped for before you know it at all. Quite unusual. Is likely to appreciate it for those who add forums or anything, website theme . a tones way for your client to communicate. Excellent task. I am also writing to make you be aware of of the incredible encounter my wife’s child found checking the blog. She figured out a lot of pieces, not to mention how it is like to possess an excellent helping spirit to let many more just know various grueling things. You actually did more than visitors’ expectations. I appreciate you for coming up with these interesting, trusted, informative and also cool guidance on that topic to Jane. Excellent post. I was checking continuously this blog and I am impressed! Very useful info specifically the last part 🙂 I search for such info much. I was looking for this particular information for a very long time. Thank you and good luck. It is really a nice and useful piece of info. I¡¦m glad that you just shared this helpful information with us. Please stay us informed like this. Thanks for sharing. Its like you read my mind! You appear to know a lot about this, like you wrote the book in it or something. I think that you can do with a few pics to drive the message home a little bit, but instead of that, this is magnificent blog. A fantastic read. I’ll certainly be back. It’s really a nice and helpful piece of info. I am satisfied that you just shared this useful info with us. Please keep us informed like this. Thank you for sharing. Well story short, you’v written very nice article, makes me crack a smile. I enjoy reading your blog posts but sorry to say but this time you perhaps have been too tired when writing because the blog post it seems rushed. I used to be suggested this website by my cousin. I’m no longer sure whether this put up is written by way of him as no one else understand such designated approximately my difficulty. You are incredible! Thank you! At last! Somoene who understands! Thanks for posting! you are in reality a excellent webmaster. The website loading pace is incredible. It sort of feels that you are doing any distinctive trick. In addition, The contents are masterwork. you’ve performed a great activity on this matter! A neighbour of mine encouraged me to view your web site several weeks ago, because we both enjoy exactly the same things and I have to tell you I am certainly impressed. Thank you for another informative site. The place else may just I am getting that kind of information written in such an ideal way? I’ve a undertaking that I am simply now working on, and I have been at the look out for such information. Very impressed by the quality of material on this website. There are a ton of great information here. I know I will visit this blog quite a bit. Aw, this was a very nice post. In concept I would like to put in writing like this moreover – taking time and precise effort to make an excellent article… but what can I say… I procrastinate alot and not at all appear to get one thing done. I am typically to blogging and i really recognize your content. The article has actually peaks my interest. I am going to bookmark your website and hold checking for new information. This is the suitable weblog for anyone who desires to search out out about this topic. You understand so much its almost exhausting to argue with you (not that I truly would want…HaHa). You undoubtedly put a brand new spin on a subject thats been written about for years. Great stuff, simply nice! Great post, keep up the quality work! Somebody essentially help to make critically posts I would state. This is the very first time I frequented your web page and so far? I surprised with the analysis you made to make this actual put up amazing. Fantastic task! Wow, outstanding inforamtion in your article. I will be sure to keep seeing more of your blog when I get home. Bookmarked! I had a disagreemwnt when I saw the title but now after reading the post I found it is really awesome. Keep up your good work. Personally I love your superb writing style. Great posting. Can’t wait to read a lot more about this subject. 9. We’re a group of volunteers and opening a new scheme in our community. Your website offered us with valuable information to work on. You have done a formidable job and our entire community will be grateful to you. Very great post. I simply stumbled upon your weblog and wanted to say that I’ve really loved surfing around your blog posts. After all I will be subscribing on your rss feed and I am hoping you write again soon! This is very attention-grabbing post. I really liked it. i thought this was a very nice submit to read. i’ll examine again for brand new posts by you! Great article, mate. Just discovered your blog. Please keep up the good work! Great post sir I love your blog. I see a great upgrading in your coming up with, I’d love to get in contact. Keep up the truly amazing work! Any writing is definitely inspirational for who is a novice to this type of material. I enjoy what you guys are usually up to at http://becomeuniqueone.com. This kind of clever work and coverage! I wish I could do the same. Keep up the good works guys I’ve you guys to our blogroll. This post is an inspiration personally to uncover much more related to this topic. I must confess your clarity extended my sentiments as well as I am going to straight away take your rss to keep updated on any new writing you may possibly produce. You deserve many thanks regarding a job very well done! You made some respectable factors there. 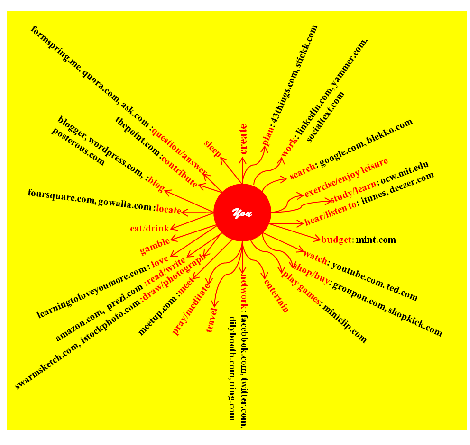 I regarded on the web for the issue and found most individuals will associate with along with your website.Useful info! Simply desire to say your article is as astounding. The clearness for your post is just cool and i can suppose you are knowledgeable in this subject. Fine together with your permission allow me to clutch your feed to keep updated with drawing close post. Thanks 1,000,000 and please carry on the rewarding work. This web site has greatly helped me. I will be able to visit again. the tips given here are wonderful. Kindly update this blog with new details. I just wanted to type a brief word to be able to say thanks to you for these fantastic ideas you are giving out on this website. My long internet search has finally been honored with incredibly good knowledge to go over with my visitors. I ‘d assert that many of us site visitors actually are very much endowed to live in a decent website with very many perfect people with valuable pointers. I feel very lucky to have seen your entire site and look forward to plenty of more awesome moments reading here. Thanks once more for all the details. Your Article about becomeuniqueone Very great visual appeal on this internet site , I’d value it 10 10. I want to express some thanks to the writer for bailing me out of this particular trouble. Right after researching throughout the internet and getting principles which are not pleasant, I thought my life was over. Being alive without the solutions to the difficulties you have sorted out by means of this guide is a critical case, as well as ones that could have negatively affected my entire career if I hadn’t noticed your web page. Your main capability and kindness in handling all the stuff was very useful. I’m not sure what I would have done if I had not come across such a step like this. I can also at this moment relish my future. Thank you very much for this reliable and result oriented guide. I will not hesitate to endorse the sites to any individual who would like guide on this situation. That is a great article! I actually wanted to write a brief word to say thanks to you for some of the wonderful pointers you are showing here. My considerable internet research has finally been paid with brilliant know-how to go over with my company. I ‘d tell you that many of us readers actually are unequivocally endowed to live in a useful website with many special individuals with helpful principles. I feel rather privileged to have seen the site and look forward to plenty of more awesome minutes reading here. Thanks once again for everything. I would like to convey my love for your kindness in support of those people who must have help on this one question. Your special commitment to getting the message across turned out to be definitely interesting and has regularly made those just like me to realize their desired goals. Your entire important instruction signifies so much a person like me and a whole lot more to my peers. Thanks a ton; from all of us. Thanks a lot for providing individuals with an exceptionally brilliant possiblity to check tips from here. It’s always so terrific and as well , full of a lot of fun for me personally and my office friends to search your website at the very least three times in 7 days to see the fresh secrets you have got. And of course, I’m certainly satisfied considering the terrific information served by you. Selected 1 tips in this post are in fact the most beneficial I’ve had. Thanks for posting the good reads. I simply love the topics you discuss on your blog. They evoke a sense of responsibility in today’s youth. I needed to create you one tiny remark to give thanks over again relating to the wonderful suggestions you have contributed on this page. It’s really incredibly open-handed with people like you to supply unreservedly precisely what most people would have offered for sale for an e-book to help with making some bucks for themselves, and in particular now that you could have tried it if you ever decided. The things also acted like the easy way to be sure that other people online have a similar passion similar to my own to realize more and more with respect to this issue. I believe there are many more pleasant situations in the future for many who looked at your blog. Hi there! Someone in my Facebook group shared this website with us so I came to take a look. I’m definitely enjoying the information. I’m book-marking and will be tweeting this to my followers! Great blog and superb style and design. Very good website you have here but I was curious if you knew of any forums that cover the same topics talked about here? I’d really love to be a part of community where I can get advice from other experienced individuals that share the same interest. If you have any recommendations, please let me know. Bless you! I do love the way you have framed this matter and it does indeed supply me personally some fodder for thought. Nevertheless, from what I have experienced, I simply just trust as other commentary pack on that people today continue to be on issue and in no way embark upon a soap box regarding the news du jour. Yet, thank you for this outstanding point and whilst I do not really agree with the idea in totality, I value the viewpoint. Simply need to say your post is really as amazing. The actual lucidity in your publish is just spectacular and that i may presume you’re an expert on this topic. Nicely together with your permission allow me to get your own give food to to keep up-to-date with future publish. Thanks millions of and please continue the actual gratifying function. Thank you a lot for providing individuals with a very pleasant opportunity to read in detail from here. It is always very beneficial and also jam-packed with a lot of fun for me personally and my office acquaintances to search the blog the equivalent of thrice per week to read through the newest secrets you will have. Of course, we’re certainly contented concerning the eye-popping things you give. Certain 2 points on this page are easily the most effective I’ve ever had. Throughout this awesome pattern of things you secure a B- just for effort and hard work. Exactly where you confused everybody was first on the specifics. You know, as the maxim goes, details make or break the argument.. And it could not be much more accurate here. Having said that, let me inform you just what exactly did deliver the results. The writing can be incredibly convincing and that is possibly the reason why I am taking an effort to comment. I do not really make it a regular habit of doing that. Second, whilst I can easily notice the jumps in logic you come up with, I am not really convinced of just how you seem to unite the ideas which help to make the actual conclusion. For right now I shall yield to your point but wish in the future you actually link your facts better. Thanks for sharing becomeuniqueone with us keep update bro love your article about becomeuniqueone . Fantastic goods from you, man. I’ve understand your stuff previous to and you are just too fantastic. I actually like what you have acquired here, really like what you are saying and the way in which you say it. You make it enjoyable and you still take care of to keep it sensible. I can not wait to read far more from you. This is really a tremendous website. Im impressed, I need to say. Really hardly ever do I come across a weblog thats both informative and entertaining, and let me let you know, youve hit the nail on the head. Your weblog is critical; the concern is one thing that not enough people are talking intelligently about. Im seriously happy that I stumbled across this in my search for one thing relating to this concern. Thanks so much for providing individuals with remarkably special opportunity to discover important secrets from this site. It can be very ideal and jam-packed with a good time for me personally and my office acquaintances to search your website nearly three times per week to see the latest tips you will have. And of course, I’m certainly satisfied with the attractive tips and hints you serve. Certain 3 facts in this article are absolutely the best I have ever had. Thank you for sharing superb informations. Your web site is so cool. I am impressed by the details that you’ve on this website. It reveals how nicely you perceive this subject. Bookmarked this website page, will come back for more articles. You, my friend, ROCK! I found simply the information I already searched everywhere and just could not come across. What an ideal web-site. I like this web blog its a master peace ! Glad I discovered this on google. “Tears are the rinse water of an unhappy heart.” by Raynor Schein. This is somewhat the information I need. Thank you for writing this post in your website. I want to get across my respect for your kindness in support of people that need to have guidance on this 1 concept. Your special commitment to obtaining the solution all over had been genuinely advantageous and have consistently empowered those like me to get to their objectives. Your entire important key points denotes an awesome deal an individual like me and especially to my fellow workers. Thanks a whole lot; from everyone of us. I precisely wished to appreciate you once more. I don’t know the factors that I would’ve accomplished without the methods provided by you on such a concern. Entirely was a scary case in my view, nevertheless observing a new skilled strategy you processed the issue produced me to weep with gladness. Now i’m grateful for the support and thus believe you know what a terrific job that you’re carrying out teaching most folks via your weblog post. I’m particular you’ve by no means encountered all of us. I genuinely enjoy studying on this web site , it has good posts . Just wish to say your article is as surprising. The clearness in your post is simply excellent and i can assume you’re an expert on this subject. Fine with your permission let me to grab your RSS feed to keep updated with forthcoming post. Thanks a million and please continue the enjoyable work. This internet site is my aspiration , very wonderful style and design and perfect articles . Nice post I’ve bookmarked https://becomeuniqueone.com/ on Digg.com so i could show this to friends. Anyway i like the post “becomeuniqueone” so I simply used it as the entry title in my Digg.com bookmark, Cheers!. A formidable share, I just now with all this onto a colleague who was doing somewhat analysis about this. And the man in reality purchased me breakfast as a result of I discovered it for him.. smile. So well then, i’ll reword that: Thnx for the treat! But yeah Thnkx for spending any time to debate this, I must say i feel strongly over it and love studying extra within this topic. If doable, when you grow to be expertise, do you thoughts updating your weblog with extra details? Its extremely helpful for me. Big thumb up with this weblog publish! I have recently started a website, the info you offer on this website has helped me tremendously. Thanks for all of your time & work. “There can be no real freedom without the freedom to fail.” by Erich Fromm. Simply killing some in between class time on Digg and I discovered your article . Not normally what I want to examine, but it was absolutely value my time. Thanks. Your article is an inspiration for me to discover more about this matter. I must confess your readability diversified my views and i will forthwith seize your rss nourish to remain up to date on any next articles you may launched. You merit thanks for a job well done! I’m also writing to let you be aware of what a brilliant experience my friend’s child gained reading through your site. She picked up numerous issues, which included what it is like to have an awesome coaching mindset to have other people just know precisely a variety of complicated matters. You truly did more than our own expectations. I appreciate you for providing the interesting, healthy, explanatory and even fun tips on your topic to Emily. I got what you mean , thanks for posting .Woh I am lucky to find this website through google. “No one can earn a million dollars honestly.” by William Jennings Bryan. Thanks for a excellent advice! I just come to your blog and really like the information. I expect to be learning your blogposts in the future. Excellent write-up, really useful. I believe plenty of visitors will locate this very useful.Keep write-up in coming future too! Just desire to say your article is as surprising. The clarity in your post is simply cool and i could assume you’re an expert on this subject. Fine with your permission let me to grab your feed to keep up to date with forthcoming post. Thanks a million and please keep up the enjoyable work. Almost all of whatever you state is astonishingly precise and it makes me ponder the reason why I hadn’t looked at this in this light previously. Your piece really did turn the light on for me as far as this specific issue goes. Nevertheless at this time there is one particular issue I am not really too cozy with so whilst I try to reconcile that with the actual core theme of the position, allow me see what all the rest of the visitors have to say.Well done. I have thinking quite often regarding this very same idea nearly every day. Much thanks for offering this additional knowledge. I simply wanted to send a brief message to appreciate you for those stunning guides you are placing here. My extensive internet look up has at the end of the day been compensated with pleasant facts and techniques to exchange with my friends. I ‘d repeat that many of us website visitors actually are very much endowed to exist in a perfect place with so many marvellous individuals with helpful tactics. I feel quite fortunate to have used your web pages and look forward to so many more amazing times reading here. Thank you once more for a lot of things. Spending time to your blog is very helpfull, Waiting your next articles. Excellent points you made right now there in your write-up. Thanks for the aid in building a change in the world. Good post. I learn something more challenging on totally different blogs everyday. It’ll always be stimulating to read content from other writers and practice a bit of something from their store. I’d prefer to use some with the content on my weblog whether you don’t mind. Natually I’ll offer you a hyperlink in your web blog. Thanks for sharing. Thank you, wonderful job! Just the thing I needed to get. Your website is extremely cherished. Thank you so much for providing a ocean of Beneficial blog. Wow, amazing blog layout! How long have you been blogging for? you made blogging look easy. The overall look of your site is magnificent, as well as the content!. Thanks For Your article about becomeuniqueone . I just hope to inform you that I’m especially new to running a blog and essentially savored you are site. Doubtless I’m possible to bookmark your website . You surely feature wonderful articles or blog posts. Thanks a bunch for sharing with us your webpage. Posted on It has always been my bileef that good writing like this takes research and talent. It’s very apparent you have done your homework. Great job! Thank you for making this website so easy to find info. good stuff. Saving this one for later. Woah! I’m really loving the template/theme of this website. It’s simple, yet effective. A lot of times it’s tough to get that “perfect balance” between usability and visual appeal. I must say that you’ve done a great job with this. Also, the blog loads extremely quick for me on Firefox. Outstanding Blog! That is really fascinating, You are an excessively professional blogger. I’ve joined your feed and sit up for looking for more of your magnificent post. Additionally, I’ve shared your site in my social networks! I do like the way you have framed this matter plus it does indeed offer me a lot of fodder for thought. However, because of what precisely I have experienced, I only hope when the feed-back pile on that individuals continue to be on issue and in no way get started on a soap box of some other news du jour. Still, thank you for this fantastic point and though I can not concur with it in totality, I value the perspective. Wow, wonderful blog layout! How long have you been blogging for? you made blogging look easy. The overall look of your website is fantastic, as well as the content!. Thanks For Your article about becomeuniqueone . Very good blog you have here but I was curious if you knew of any discussion boards that cover the same topics talked about in this article? I’d really like to be a part of online community where I can get opinions from other experienced people that share the same interest. If you have any suggestions, please let me know. Many thanks! I like your blog. Very useful and very inspirational. Thanks a lot. This will help me a lot. I’m impressed, I must say. Actually not often do I encounter a blog that’s each educative and entertaining, and let me tell you, you could have hit the nail on the head. Your concept is excellent; the issue is one thing that not enough people are talking intelligently about. I’m very completely happy that I stumbled throughout this in my seek for something relating to this. Great post at becomeuniqueone. I was checking continuously this blog and I’m impressed! Extremely helpful information specifically the last part 🙂 I care for such info much. I was looking for this particular info for a very long time. Thank you and best of luck. becomeuniqueone Pretty nice post. I just stumbled upon your blog and wished to say that I have really enjoyed browsing your blog posts. After all I’ll be subscribing to your feed and I hope you write again soon! Great article upon every of the essentials. Hi there to every body, it’s my first visit of this blog; this website carries amazing and truly good data designed for readers. Substantially, the article is in reality the freshest on this laudable topic. I agree with your conclusions and also can eagerly look forward to your forthcoming updates. Saying thanks will certainly not simply just be enough, for the awesome clarity in your writing. I can at once grab your rss feed to stay privy of any kind of updates. Genuine work and much success in your business endeavors! I simply want to tell you that I’m all new to blogging and site-building and truly liked this web page. Almost certainly I’m planning to bookmark your website . You amazingly come with superb articles. Kudos for sharing your web site. Excellent post at becomeuniqueone. I was checking constantly this blog and I’m impressed! Extremely helpful information particularly the last part 🙂 I care for such information much. I was looking for this certain information for a long time. Thank you and good luck. Hello my friend! I wish to say that this article is amazing, nice written and include approximately all important infos. I’d like to see extra posts like this . Hi there! I just want to give a huge thumbs up for the nice information you have here on this post. I will be coming again to your blog for more soon. Magnificent web site. Lots of useful information here. I am sending it to several friends ans also sharing in delicious. And certainly, thanks for your effort! I’m so glad I discovered your site. I liked your article, and found it really interesting. This is definitely going on my list of favourite blogs, and I’ll be visiting again to read more one of these days. Thanks for all of your labor on this site. Kate loves participating in investigation and it’s really simple to grasp why. My spouse and i hear all regarding the compelling way you create efficient tips and hints through your web blog and improve participation from people about this issue plus my girl is actually being taught so much. Take pleasure in the rest of the new year. You are doing a fantastic job. Very interesting points you have remarked, thankyou for posting . “Success is a journey, not a destination. The doing is often more important than the outcome.” by Arthur Ashe. Hi there, I stumbled upon your internet website through Google although hunting for a related topic, your web site came out, it seems like to be great. We have bookmarked it inside my yahoo and google book marks. They’re very convincing and can definitely work. Nonetheless, the posts are too brief for newbies. May you please lengthen them a little from subsequent time? Thank you for the post. just dropped by to learn about this website. It seems to be really good and I had a good time browsing it, thank you for the great stuff! I love great info, this was a very good article. The article features confirmed useful to me personally. It’s extremely informative and you are clearly extremely educated in this area. You have opened up my own sight to varying thoughts about this subject using intriguing, notable and solid articles. There is certainly a lot to learn about this topic. I love all the points you’ve made. Nice post. I was checking continuously this blog and I’m impressed! Extremely useful information particularly the last part I care for such information much. I was seeking this certain information for a very long time. Thank you and best of luck. I was examining some of your content on this internet site and I conceive this website is real informative! Keep on posting. I like this blog very much so much wonderful information. “The more opinions you have, the less you see.” by Wim Wenders. You’ve made some really good points there. I looked on the web to learn more about the issue and found most individuals will go along with your views on this web site. Hi my friend! I want to say that this article is awesome, great written and come with approximately all important infos. You’re so cool! I don’t believe I have read through anything like that before. So nice to find someone with genuine thoughts on this subject matter. Seriously.. many thanks for starting this up. This web site is something that is required on the internet, someone with a bit of originality! Hey there! I’ve been reading your site for a while now and finally got the courage to go ahead and give you a shout out from Austin Texas! Just wanted to say keep up the good job! It’s a shame you don’t have a donate button! I’d without a doubt donate to this fantastic blog! I guess for now i’ll settle for book-marking and adding your RSS feed to my Google account. Fantastic items from you, man. I’ve take note your stuff previous to and you are just extremely magnificent. I really like what you’ve got here, certainly like what you’re saying and the best way through which you say it. You make it enjoyable and you still take care of to keep it wise. I can’t wait to read far more from you. Very nikce article, exactly what I needed. Terrific web-site! Are there any recommendations for noob blog writers? I hope to start out with my very own web site soon but I’m a bit unsure on everything. Do you advise to begin with a free system like WordPress or perhaps take a premium solution? There’s a lot of solutions to choose from that I am thoroughly overwhelmed. Any kind of proposals? I don’t even know how I stopped up right here, but I believed this post was great. will be tweeting this to my followers! Excellent blog and fantastic design.